President Trump's decision to recognize Jerusalem as Israel's capital promises to fan violence and bloodshed in the tinderbox that is the Middle East. As word spread that President Donald Trump was set to announce America would recognize Jerusalem as Israel’s capital, celebrations began. Shouts of “Amen!” and “Hallelujah” were coming from those who support the president’s decision. With his move of recognition, he changed a cornerstone of American policy towards the region. 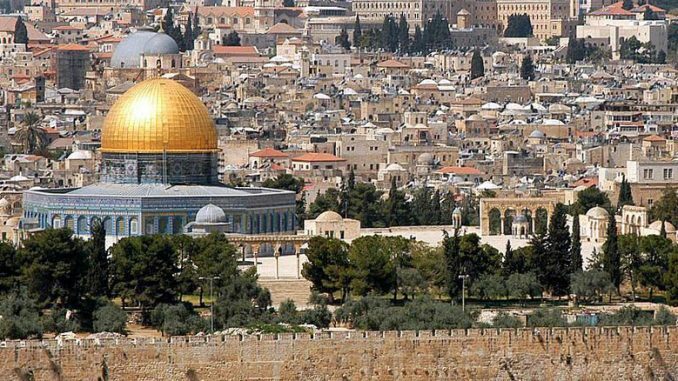 The recognition of Jerusalem does very little or nothing at all to advance Israel’s position at the negotiating table, and it needlessly agitates the tensions in the Middle East. Palestinians are calling for “days of rage” over the U.S. decision. Both Fatah, including Mahmoud Abbas, and Hamas are supporting the call for protests. Violence promises to break out. There is nothing in President Trump’s decision to recognize Jerusalem as Israel’s capital that could not have been peacefully achieved, with patience, at the negotiating table. In fact, he gave away a huge piece of American leverage over the peace process for free. Moments after the official U.S. announcement, Mahmoud Abbas declared the U.S. would no longer be a partner in peace negotiations. Instead of going against the wisdom of his predecessors, President Trump should have listened to them. His move is careless and reckless, promising to spur needless violence and bloodshed. Thus, there is no reason to celebrate as the world holds its breath.